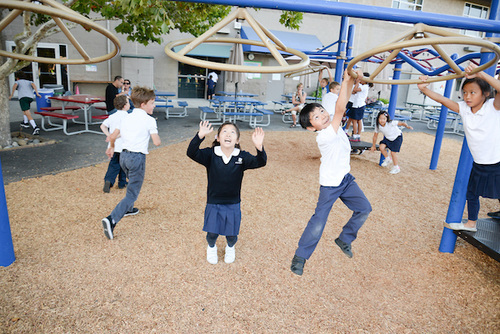 Shortly after the school year began, parents, students, faculty and staff filled Harker’s lower school campus for two separate events intended to welcome families back to school. At the first happening, the campus’ newest students – the kindergarteners – took to the playground for their own mouth-watering and fun-filled barbeque. That event was followed by a larger, combined barbeque for grades 1-5, held on Bucknall’s Rincon Field. Attendees of both events enjoyed the warm summer air, casual atmosphere and opportunity to connect and reconnect with both new and returning students and families.